What attending events in the crypto space means to most of us is that, it is a perfect chance to get the most up-to-date info. about leading and emerging projects, be it their technology progress or their business and community development roadmaps. 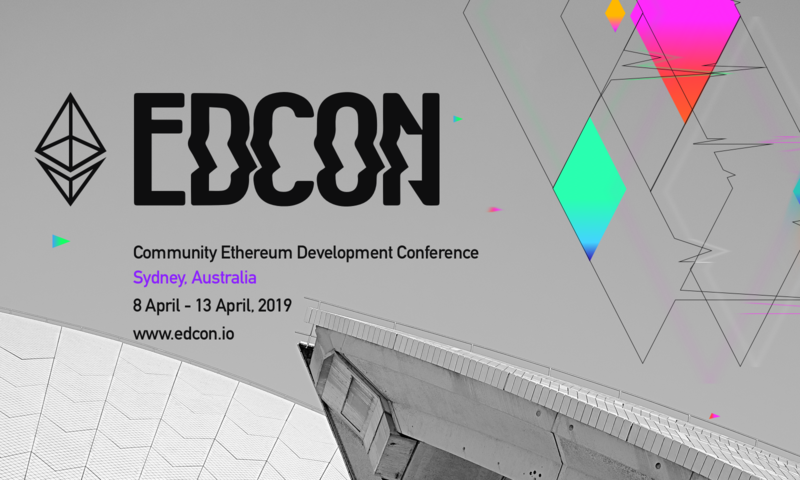 So EDCON team would like to make a series announcements to briefly introduce the main contents of the speech of our speakers, which might be the biggest concern to most of our attendees. See the announcement #1, #2, #3, #4 #5 & 6. Brief: Yusuke will talk about anything about Japanese market, how Ethereum community has been shaped, what are the current stake holders in the space such as enterprises, investors, media, and regulatory environment. Brief: Over the last three years, many blockchain projects in China experienced a complete lifecycle. Under the world's most stringent regulation, dozens of tokenomic models were devised and tested in a relatively short period of time. Those which worked and failed have left the community a rich set of lessons. The speaker is well known in China for his study in tokenomics. In this session, the speaker will summarize his findings and thoughts on tokenomic model design based on real case studies. Brief: Cryptoeconomic incentives are one of the most important things to consider in the blockchain ecosystem. However, the complexity of incentive systems and the lack of a easily understandable way of representing them has led to various problems like version control, general simulations being very difficult. This presentation will be about the requirement needed for a cryptoeconomic modelling language and the benefits one can get from implementing it (with examples). Brief: People want to use a great dapp. You want to build a great dapp. Simple statements, but current execution proves otherwise. This talk will introduce the emerging pattern of incremental decentralization and how it can (read: should) be applied in your dapp to address Web 3 usability issues through the use of layer 2 solutions. This will then lead into suggestions for a developer workflow centered around efficient layer 2 integrations because at the end of the day, it’s always about execution, right? Brief: Scalability and sharding have always been the central research topics in Ethereum community. We are going to present a novel sharding algorithm BlockFlow which is a combination of sharding and DAG technology. BlockFlow is the first algorithm to support single-step cross-shard transactions. Based on BlockFlow algorithm, we build our novel scalable blockchain platform Alephium. We design a scalable token/data protocol and smart contracts for Alephium. I will also talk about how to achieve better application scalability by mixing our scalable token protocol and smart contracts. Brief: PCPs and variants are at the heart of many modern (zk) computational integrity provers. Brief: Open source software has been around for decades, but funding is still sorely lacking. This presentation will provide an overview of the maintainer sustainability problem in OSS along with some potential solutions in the context of the Ethereum ecosystem. Brief: Dexz is a permissionless ERC20 to ERC20 token decentralised exchange (DEX) smart contract due to be released in Q2 2019. Orders are maintained directly in an on-chain orderbook, sorted using the red-black binary search tree algorithm. The fee structure and fee sharing mechanism is designed to incentivise the building of exchange and wallet front-ends by independent developers for their target crypto-token markets, as well as direct execution by other smart contracts and trade execution engines. The next announcement of this series is coming soon. Please stay tuned! Write your comments below if you have any thoughts, questions or doubts.